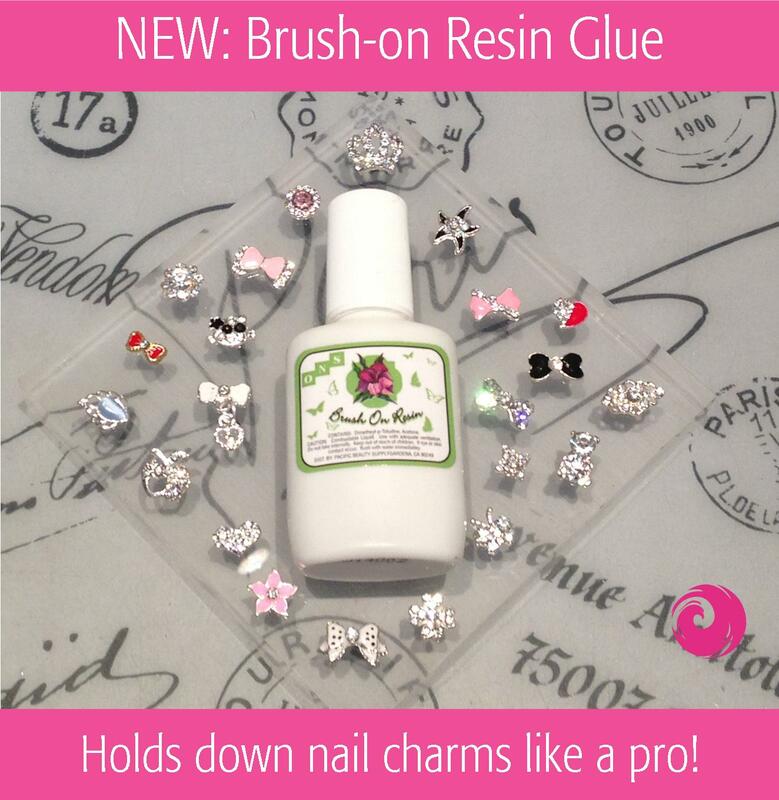 We haven’t been so excited about new arrivals in a while – a real nail charm glue that holds down nail charms like nobody’s business! All the biggest nail charms will stay put even on natural nails with nail polish! Easy application with a brush and waterproof formula make it a staple of any nail artist’s stash! $7.99 reg. and goes in our nail art deals. This entry was posted in New Arrivals, News, Product in Focus and tagged buy brush on resin glue online, buy nail art decorations online, buy nail art glue online, buy nail art online, buy nail charm glue online, Buy Nail Charms, buy nail decorations online, nail art supplies, Phoenix Beauty Lounge, www.phoenixbeautylounge.com by phoenixbeautylounge. Bookmark the permalink.